Squirrel Girl (Fictitious character) -- Comic books, strips, etc. ACO (Comic book artist), artist. Aaron, Jason. Power of Strange compels you. Aaron, Jason. State of misery. Aaron, Jason. Weird, the weirder, and the weirdest. Aaron, Jason. World's finest super-surgeons. Bachalo, Chris, artist, penciler, colorist. Davis, Ben, 1961- director of photography. Derrickson, Scott, film director, screenwriter. Glenn, Kimiko, 1989- voice actor. Henry, Brian Tyree, voice actor. Immonen, Kathryn To get her forever. 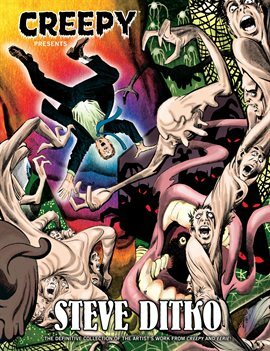 The unbeatable Squirrel Girl & the Great Lakes Avengers / writers, Steve Ditko [and 4 others] ; artists, Steve Ditko [and 14 others]. The unbeatable Squirrel Girl. Vol. 5, Like I'm the only squirrel in the world / Ryan North, writer ; Will Murray, writer, 15-year-old Doreen sequence ; Erica Henderson, artist ; Rico Renzi, color artist ; Zac Gorman, Mew's dream comics art ; Steve Ditko, Doreen's costume drawing art ; VC's Clayton Cowles, letterer. Doctor Strange. Vol. 4, Mr. Misery. Doctor Strange. Vol. 5, Secret empire / Dennis Hopeless, John Barber, writers ; Niko Henrichon, artist, colorist ; Kevin Nowlan [and six others], past sequence art ; Juan Frigeri & Java Tartaglia, present sequent art ; VC's Cory Petit, letterer. Spider-Man 2 [BLU-RAY] / Columbia Pictures presents a Marvel Enterprises/Laura Ziskin production ; produced by Avi Arad, Laura Ziskin ; directed by Sam Raimi ; screenplay by Alvin Sargent. The amazing Spider-man / Columbia Pictures Industries ; Marvel Entertainment ; producers, Laura Ziskin, Avi Arad, Matt Tolmach ; writers, James Vanderbilt, Alvin Sargent, Steve Kloves ; director, Marc Webb. Spider-Man [BLU-RAY] / [producers, Avi Arad ... [and others] ; director, Sam Raimi ; writers, David Koepp, Stan Lee.